Hue are leading the way in the smart bulb arena, as a smart bulb it will also work with other smart home gadgets, such as the voice controlled devices such as Alexa, Google Home and Apple’s Siri. 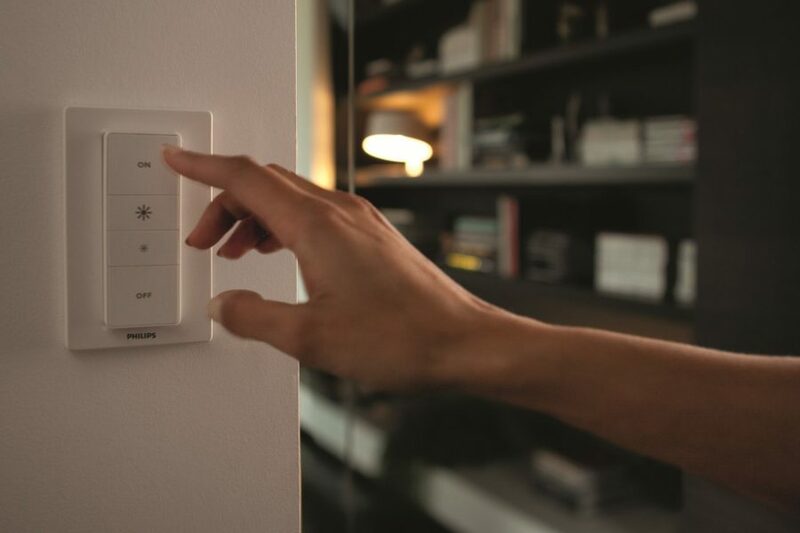 While these can turn you lights on and off, changing colors what about using other smart gadgets to link to Hue. 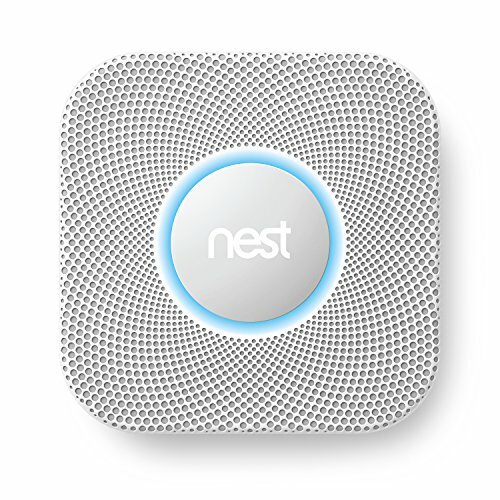 Nest have a range of products that you can link together with Hue, such as their smoke alarms where you can have the lights all turn on or flash if there is an emergency, ideal for at night. 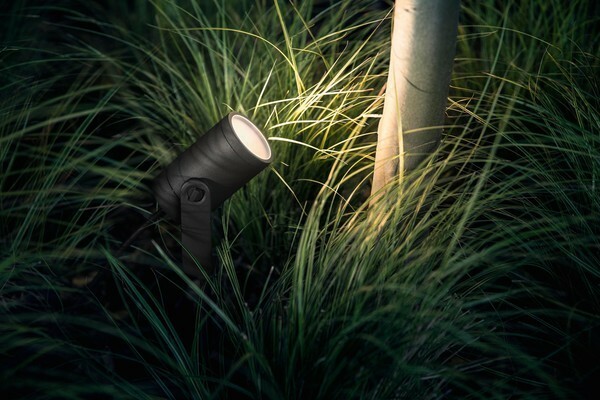 The Nest security camper can turn your lights on when it detects motion surprising any intruder that may have entered. We have rounded up a full range of smart home gadgets that Hue will link up and work with. 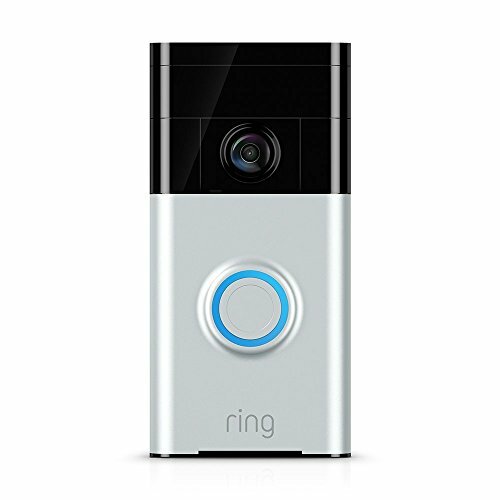 Ever thought what could be smart about a doorbell, well ring are leading the way in the smart doorbell arena. With a built in camera you can see who is at the door, ignore them, tell them to leave the parcel round the back or just tell them to go away if without having the open the door, and without having to even be in. Work with your Philips Hue lights you can set them to flash when someone presses the Ring doorbell. This is simple to set up using IFTTT and is great if you are hard of hearing, or listening to music for example, the flashing lights give a visual that someone is at the door wherever you are in the home. 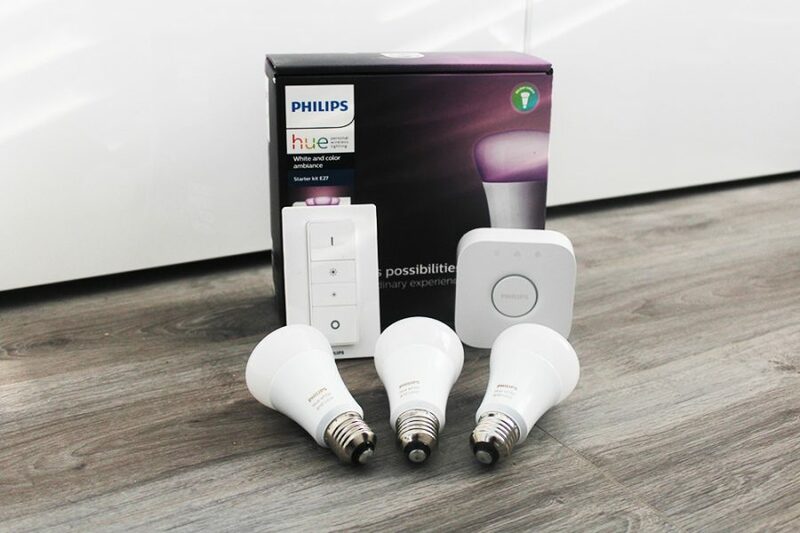 Philips Hue light bulbs work with a full range of Nest products including the smoke alarms and thermostat, we detail how they an be used with Hue below. 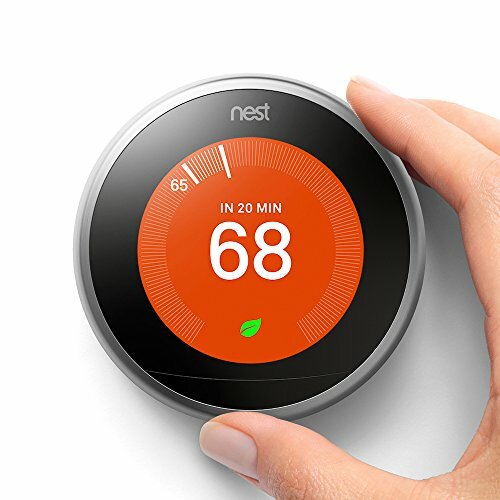 The Nest thermostat replaces your traditional heating thermostat with a smart hub that will adjust the time the heating is on when you are in, and when you need it helping to save energy and also money on your energy bills. You can adjust your heating from your mobile phone at home or when away allowing you to put it into eco mode instead of heating the whole house when away. Your thermostat is likely to be in a hallway, the this Nest model has a motion sensor built in, using this you can have hall lights turn on when it detects motion and is after a certain time, this is great for coming back home after work when it is dark, and the lights turn on for you in the hall way. Nest Cam is a security camera that allows you to see what is going on in your home, be it in a certain room or at your front door. When away from your home on holiday for example you could set the lights to come on in your home if it detects any motion, perhaps you have it set in your living room, you are away and no one should be in your home, if it detects motion then all the lights could turn on to shock and scare a notional intruder. Using IFTTT you can set up a trigger that automatically turn on your Hue lights when Nest Cam detects motion. 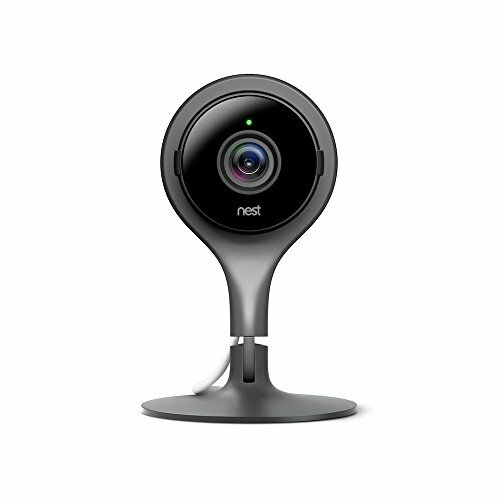 Nest Cam is a great device that can be used as an alert and security deterrent, it can be easily moved around the home so make it ideal for use as a baby monitor for their room, however when away you can plug it into somewhere to act more as a security device and activate the lights to come on if motion is detected. As well as security cameras and thermostats Nest also have a stylish smoke detector in their range of smart devices, a wired smoke detector that will alert you if you are at home and if you are away. An alarm sound and flashing LED ring on the device will activate in an emergency, however it can also alert you via your mobile phone so if you are away you are notified right away too. If you are at home at night and there is a fire for example, you may be in bed and the lights are all off, using a clever trigger if the Nest protect does sound and there is an emergency you can have all your lights come on too so that you can see where to go and also help wake you up right away. 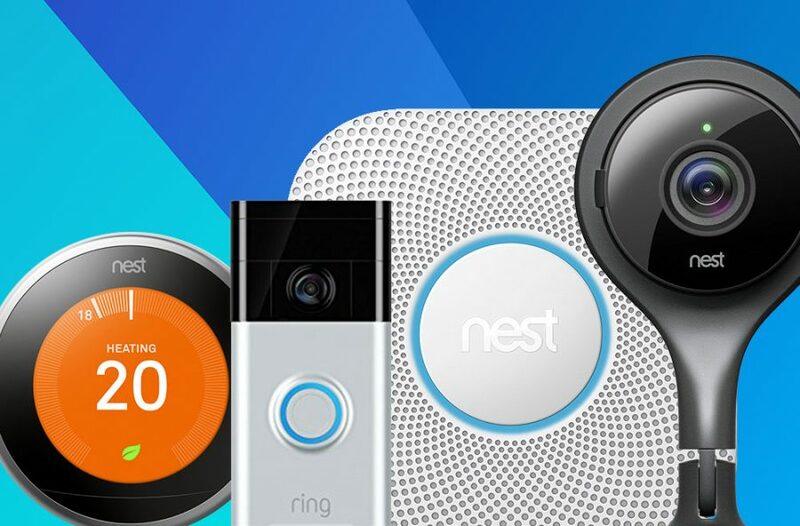 Using IFTTT to turn your lights on in an emergency with Nest Protect. The Nest protect also has a carbon monoxide sensor, if levels are dangerously high then it can help apart you by by turning all your Philips Hue lights red to help give an immediate warning wherever you are in the home. Again this can be set up using IFTTT here. The sunrise feature of Hue lights is perfect for your wake up routine, and now you can combine with with smart alarm clocks such as the Bedding Alarm Clock that was featured on Product Hunt. 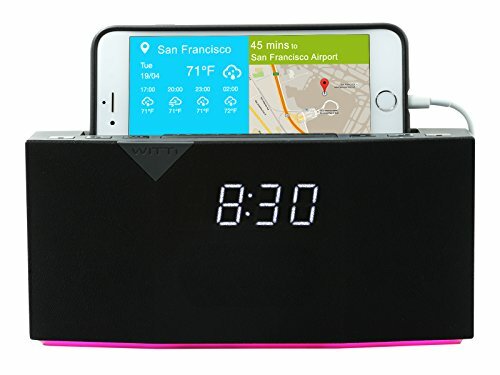 A clever smart clock that use your phone to control you can have your Hue Lights turn on and dime all linked through the Beddi Alarm Clock. You can set sunrise and sunset routines through the Hue App, however here you can easily combine it with your alarms set on your phone all in one place. 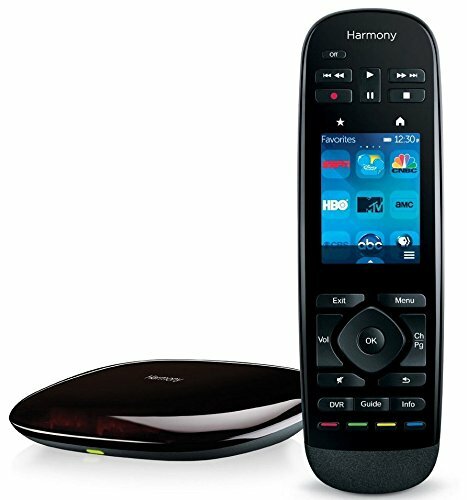 If you want a single remote that does it all then the Logitech Harmony is the remote of all remotes. You can use this to control everything from your TV and stereo, to your Hue Lights and automatic blinds. 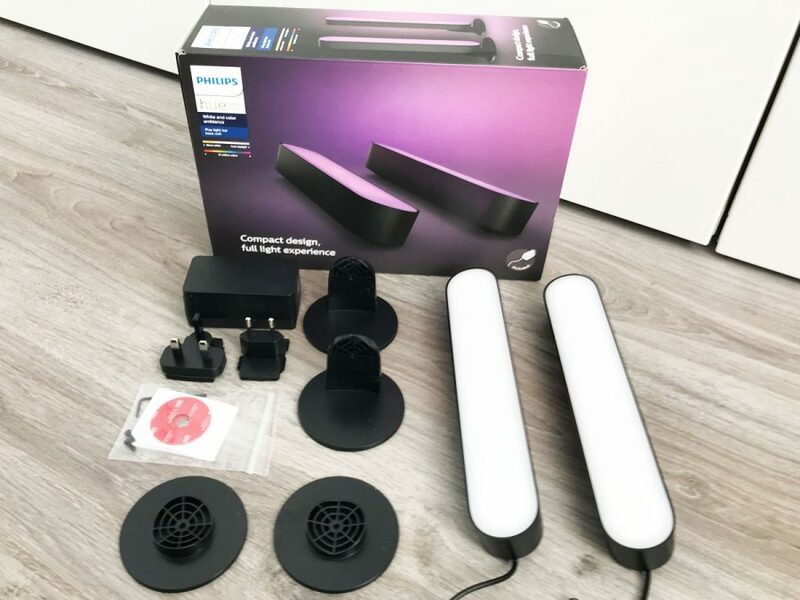 When set up you select movie and the lights will dim, TV starts up, surround sound ready, all at the click of a button, if listening to music then you can set your Hue lights to change color to set the mood. This video shows what you can do with the two working together. 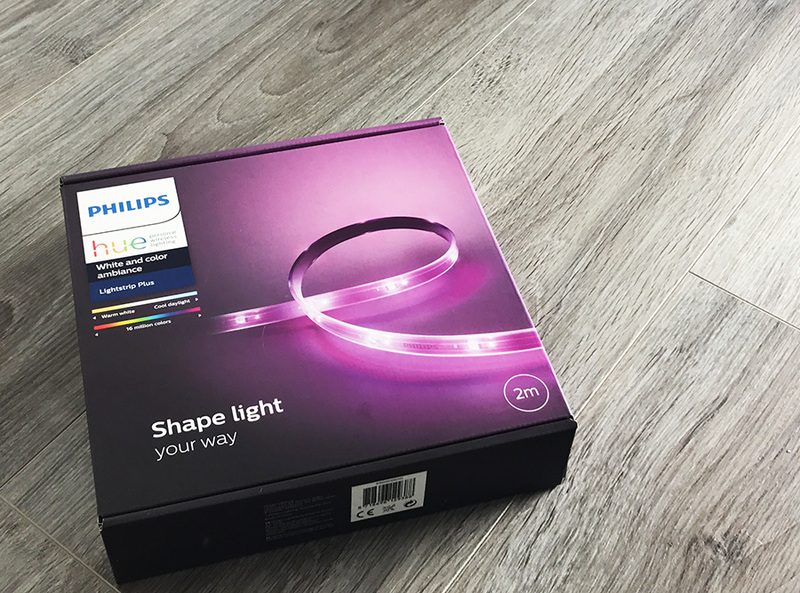 What other smart gadgets do you use Philips Hue with? Drop us a comment below!